Boasting a wraparound porch on a large corner lot, this beautiful home offers 4 bedrooms, 1.2 bathrooms, dual-zone central air, stunning original details like stained glass windows, detailed molding and millwork, an updated kitchen, 2200+ sq ft of space, and unbelievable potential! Enter through the foyer and into a sumptuous first floor featuring refinished original hardwood floors with walnut inlay, dentil crown molding, and hardwood pocket doors that lead to a family room with a stained glass bay window and fireplace. The formal dining room offers a built-in china cabinet, powder room with laundry, and entrance to a newly-renovated kitchen featuring oversized cabinets with plenty of room storage, stainless steel appliances, and tile backsplash. The second floor features three spacious bedrooms and a full bathroom with linen closet, sizable vanity, and whirlpool tub. Upstairs, a renovated third floor offers a master bedroom with en suite powder room and sizable walk-in closet. The backyard makes the perfect space for summer barbecues and outdoor entertaining with deck, multiple planting beds, and storage shed. 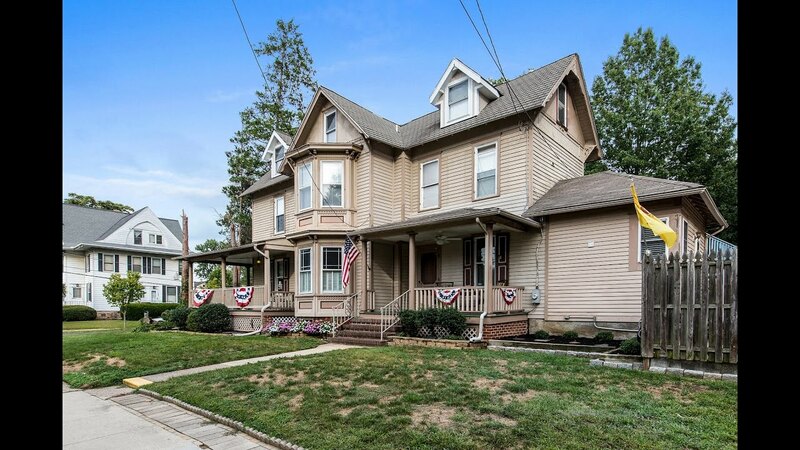 With ideal location, you’ll be close to Collingswood favorites like Knight Park, Haddon Ave restaurants and shops, and within walking distance from PATCO – this home is waiting for you to call it your own!